Hovercraft SuperYacht Tender – So imagine the problem, you have amassed a fortune, ordered and taken delivery of your SuperYacht, but your captain tells you that you cannot get ashore to visit the casino due to low tide. Traditional boat tenders have propellers that get snagged on underwater obstacles, manatees, sea turtle, coral, and don’t work so well over sand or mud – get a hovercraft! Hovercraft have no propellers to get snagged – they fly at a typical cruising height of 8 inches over any flat surface. Hovercraft reach the parts that others fear to tread – if the tide is out, just fly over the mud or sand, up the beach, step onto firm ground without ever getting your gucci shoes wet – no gucci gucci goo for you. Hovercraft also make for great guest entertainment, so if you charter out the yacht, offer hovercraft to your guests. Never flown a hovercraft? Riding on a cushion of air is so liberating, like a magic carpet – so comfortable. 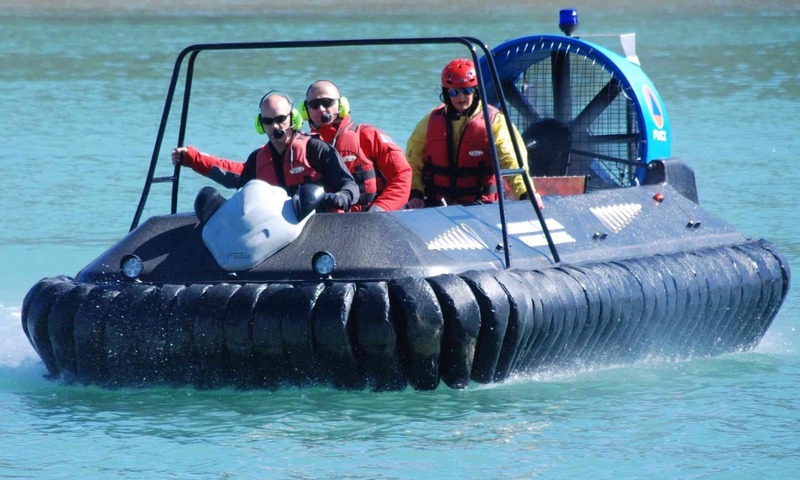 Let’s face it, RIB tenders are fun, but crashing through the waves can give the old back a bit of a workout – hovercraft have built in air suspension and glide like a Bentley.